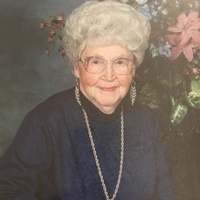 Mattie “Marie” Lund, 92, passed away on Aug. 27, 2018 at the Amber. Raquel Herrera Hermiston Jan. 10, 1954 – Aug. 30, 2018 Raquel Herrera, 64, of Hermiston died Thursday, Aug. 30, 2018, in Walla Walla. She was born Jan. 10, 1954, in Edinburg, Texas. A funeral service will be held Thursday, Sept.
William Joseph ‘Bill’ ‘Willie’ Fisher Sr.